Evelyn Jessy Neels was born on 15 September 1910 in Devon, England, UK. She became a nurse, and in 1939 was called up to the Territorial Army Nursing Service, where she met her Dutch husband during World War II. They had a daughter. After living in Holland for 13 years, they returned to England where she continued her nursing career. After she retired from nursing, she began writing, publishing her first romance in 1969. She was quite prolific and wrote 134 books. Her gentle novels of doctor nurse romances, are usually featured Dutch doctors as the heroes. 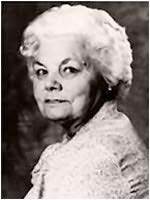 Betty pased away peacefully in hospital on 7 June 2001, aged 91. Her career with Mills & Boon (reprinted by Harlequin) spanned 30 years, and she continued to write into her 90th year. To her millions of fans around the world, Betty Neels epitomized romance. She will be missed.